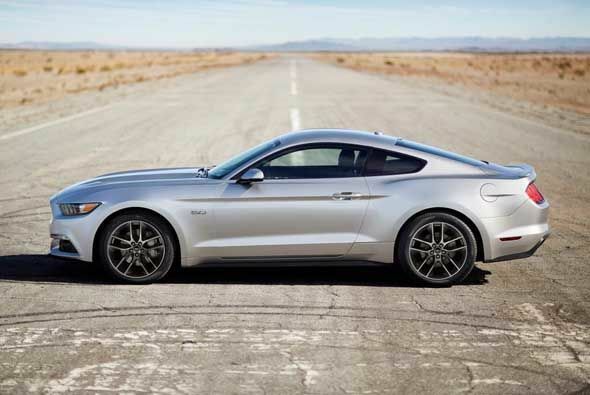 With this release, Ford celebrated the 50th anniversary of the Mustang. 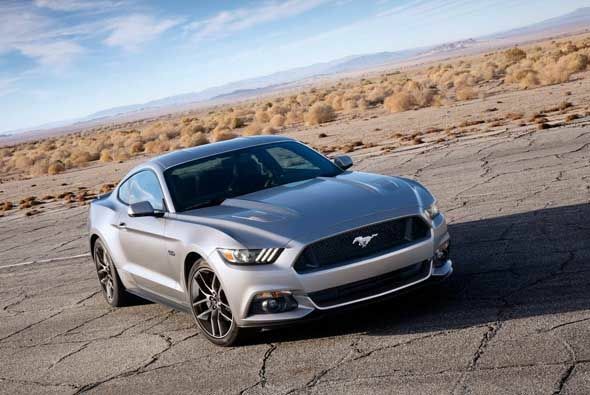 The new Mustang 2015 comes with new design and plans to go global. It will come equipped with a long list of high-tech features. Independent rear suspension, adaptive cruise control and blind spot monitoring system are just some of the new features. 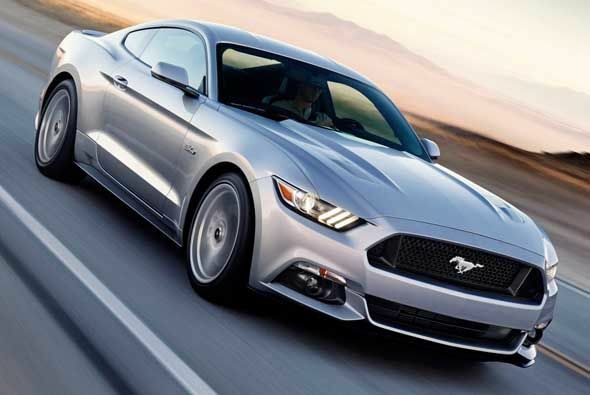 According to Ford representatives, the Mustang is the model that has the highest recognition and the best opinion from all vehicles on its lineup. Over 9 million units have been sold since 1964. This is the first time that it will be designed in order to meet several international safety and emissions standards. The galloping pony will replace the Ford logo. The next chapter in the life of the iconic car started when it was presented simultaneously in six cities across four continents. 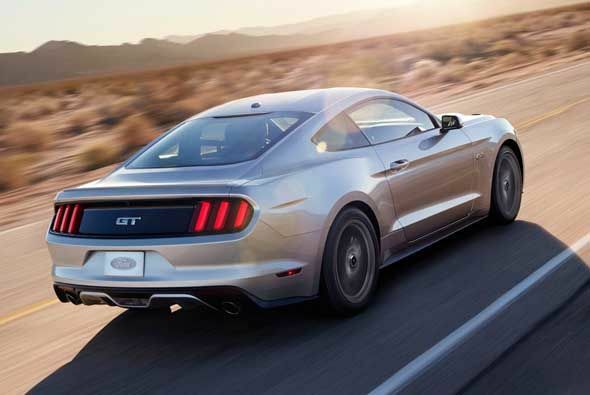 The GT version continue using the 5.0-liter V8 engine but with new valves and cylinders that deliver 420 horsepower. A new intake system improves fuel consumption and emissions at low revs. 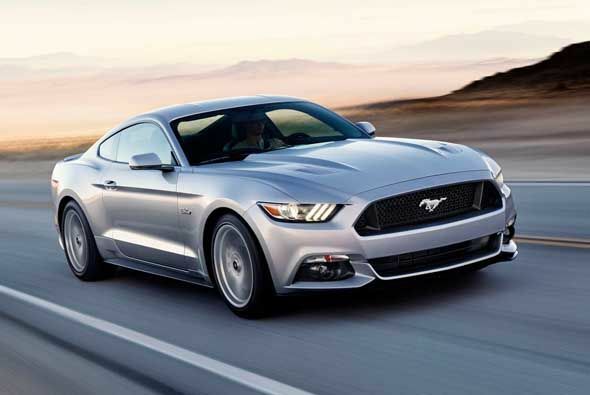 There will also be a version with 4-cylinder EcoBoost engine which will have 305 horsepower, and the 3.7-liter V6 version will continue with 300 horsepower, so there will be a Mustang for every taste. It comes with a renovated interior, better quality materials and MyFord Touch as an option. 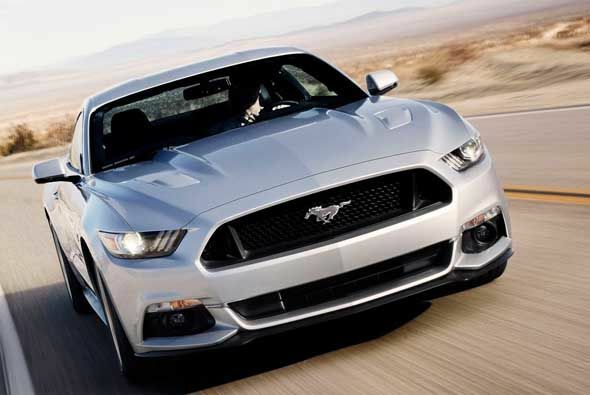 On April 17, 2014 was the 50th anniversary of have been launched the Ford Mustang in the market. 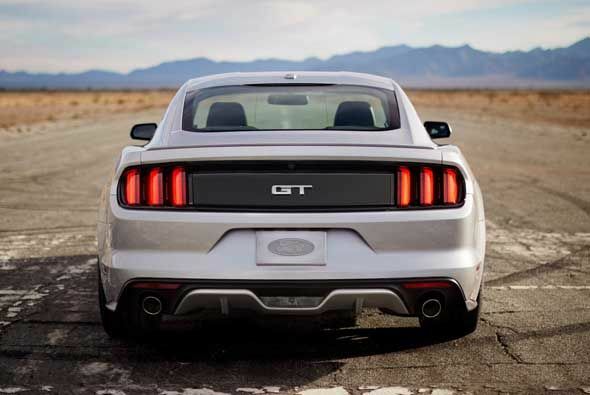 FORD MUSTANG GT 2015 - Rear. The Mustang is perhaps the most famous Ford model, a vehicle that stirs passions and whose tradition has its roots half century ago. It is a car with several exponents that are inevitable in any collection. It has appeared countless times in movies, television series and video games, and is also the model with more followers on Facebook. Although still not going to see the sixth generation of the Ford Mustang rolled through the streets, it is a fact that this is one of the most important releases next year. The specific power for each engine has not been disclosed, as well as consumption figures, acceleration and some other development that manufacturer is keeping for the NAIAS 2014 (North American International Auto Show). 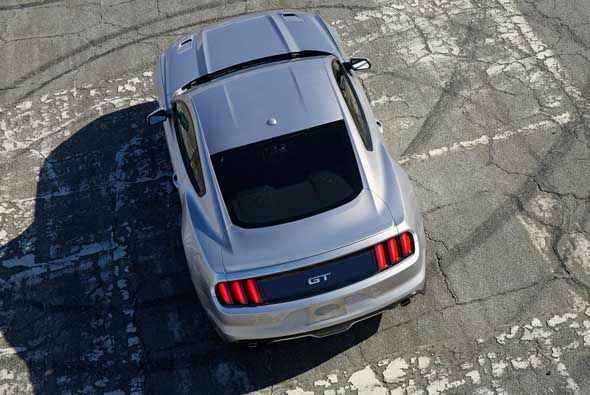 FORD MUSTANG GT 2015 - Aerial view. 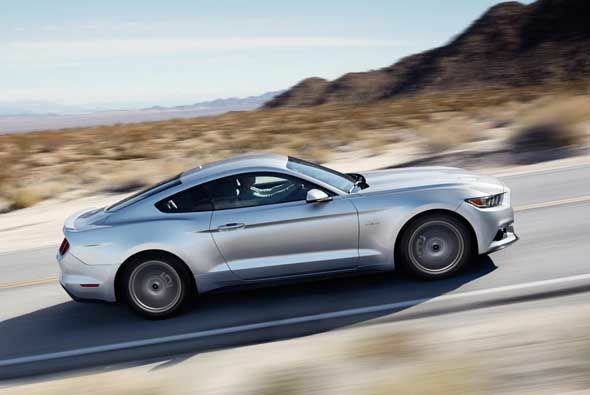 The 2015 Mustang is almost as lengthy as its predecessor, but is wider and lower, making it has a much more aggressive and sporty appearance than before. According to the designers, the sixth-generation evokes the shapes of the Mustang from 1964-1965, as well as some elements of the Evos Concept. 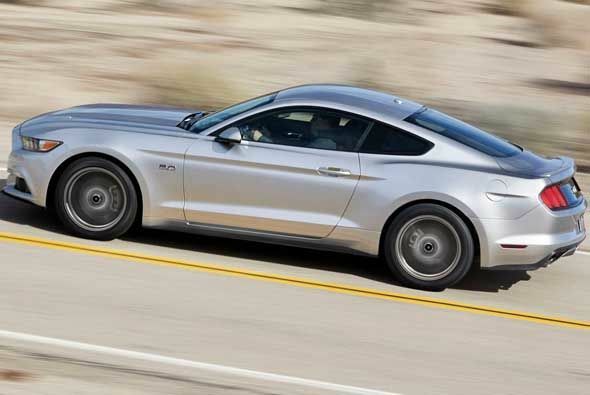 Ford confirmed that both the 3.7-liter V6 and the 5.0 V8, which actually are the same engines that the current Mustang models are using, will be more powerful for the 2015 version, with at least 300 hp and 270 lb-ft for the six-cylinder with 390 hp and 420 lb-ft of torque for the V8. The L4 Ecoboost model, which will be offered as the intermediate one, will provide an approximate power of 305 hp and 300 lb-ft of torque at 2,500 rpm. 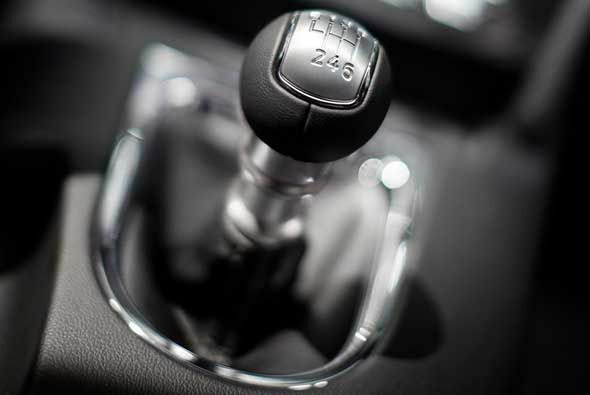 The transmissions will be six-speed, manual and automatic with manual mode and paddle shifters located behind the steering wheel. 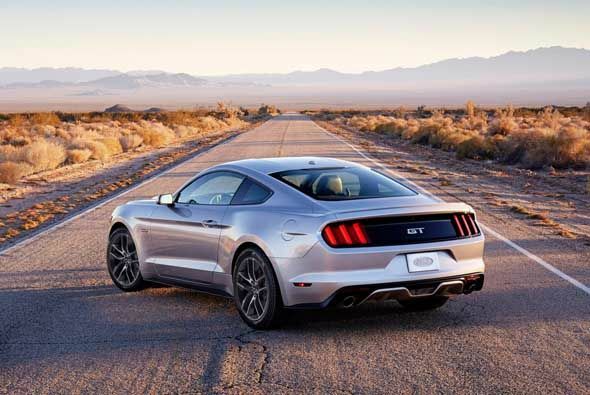 In the words of Ford engineers, the renewed pony car was developed to be more capable than the Mustang Boss 302 from the outgoing generation. The car is lighter, with new suspension geometries, both front and back, but the big news is in the rear axle which offers for first time multi-link geometry. Three different braking systems packages will also be offered. 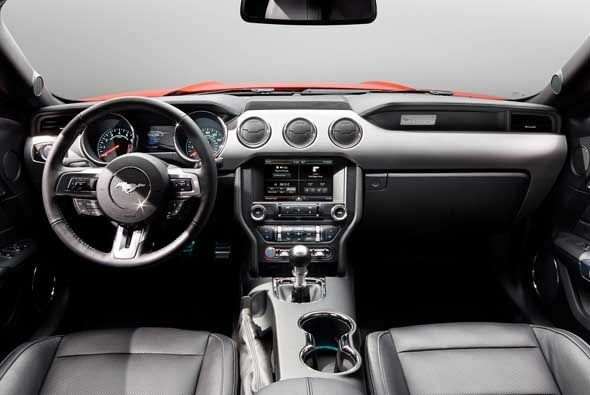 FORD MUSTANG GT 2015 - Interior and dashboard. Another innovation is the addition of driving modes, which allow the driver to choose different programs that modify the behavior of the steering wheel, engine, transmission and stability control. In terms of safety, the developments are the warning systems for presence on blind spot with cross traffic alert and active cruise control. The completely redesigned interior now features better quality materials and tactile sensations, keeping a clear inspiration in the command centers of the fighter aircraft. 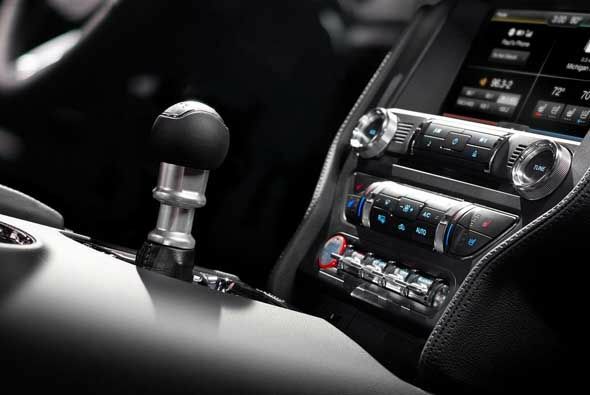 FORD MUSTANG GT 2015 - Interior and instrument panels. 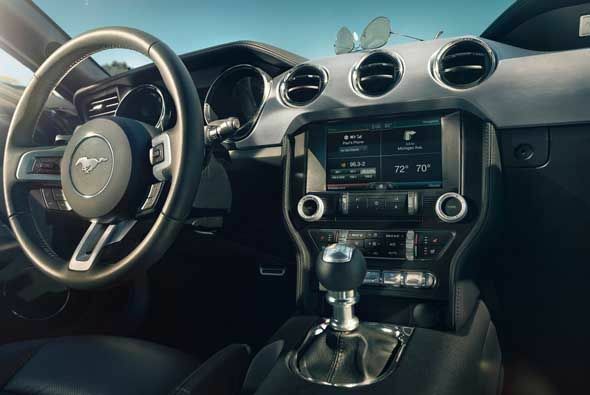 The advanced infotainment system, MyFord Touch, which is optional, also introduces some new buttons and voice recognition features that will facilitate certain operations that previously could only be made via the touchscreen. 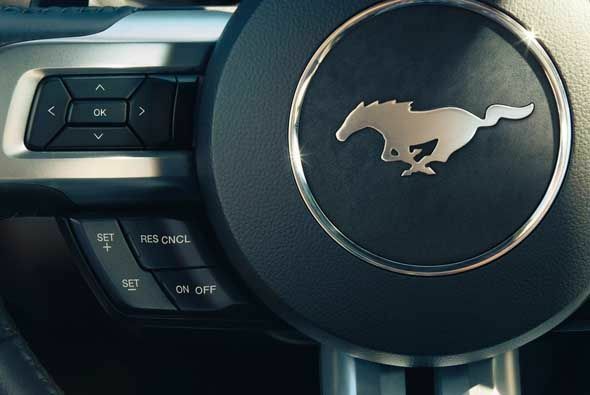 As a celebration for the 50th anniversary of the Mustang, the 2015 models will incorporate in the instrument panel the emblem of the galloping pony.